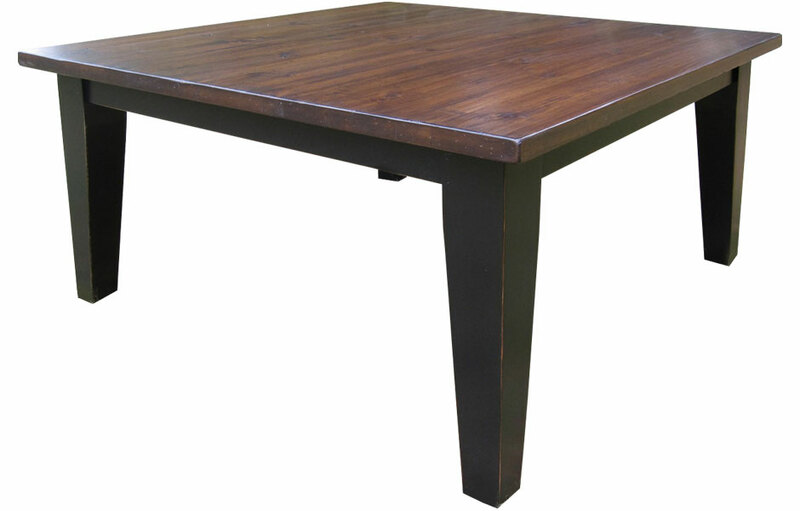 The 60 inch Square Table comes with (2) 16" Company Boards and puts a modern twist on tradition with its square design and turned or tapered legs. The extensions slide into each table end and provide extra seating. The table is 5 feet square and seats 8, add the extensions, and seat 12. 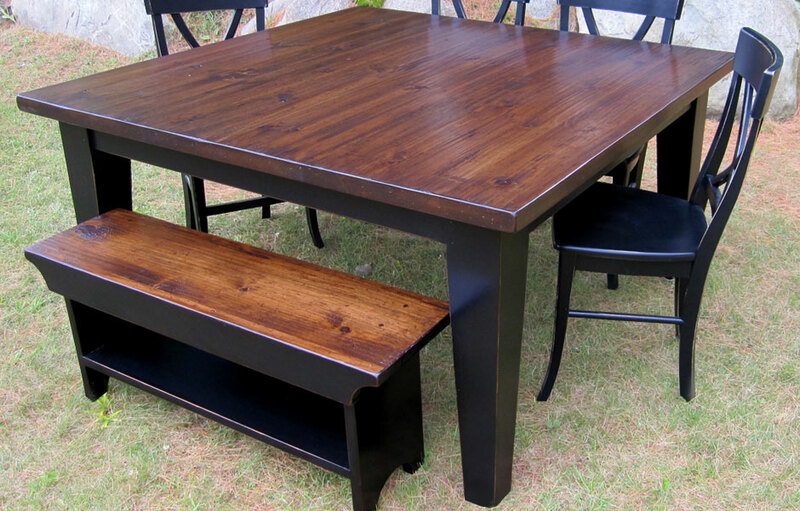 The Square Dining Table creates provides seating for (8) people with (2) guest on each side of the table. Unlike a round table, this large square dining table can be extended by adding the (2) 16" company board extensions, providing room for (4) additional guests. 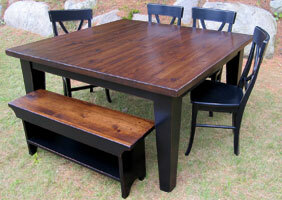 The square farmhouse table that seats 12 with extensions will be the showpiece of any dining space. 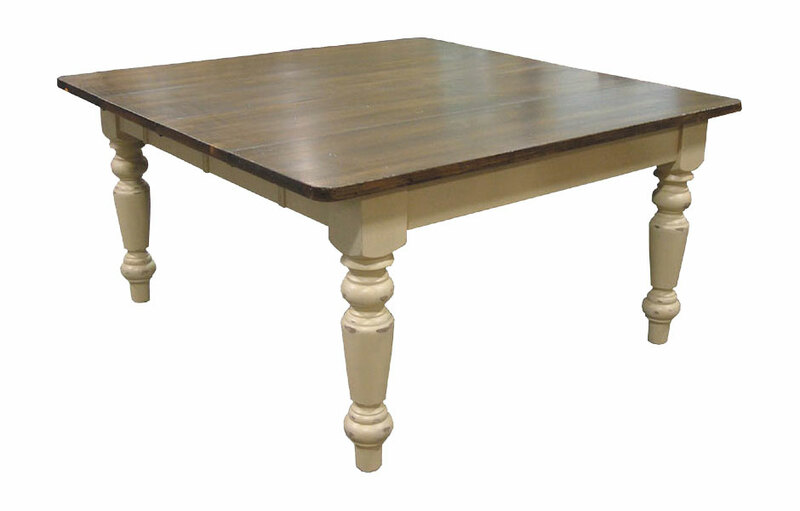 The Square Dining Table's French country styling makes it elegant enough for a dining room, but also is intended for daily use. The square dining table is made of solid wood, then water-sealed and waxed to prevent water-rings. It's easy soap and water clean-up dining table. The Square Table can be built with 4" turned or tapered legs for a modern farmhouse style, or with a 5" turned or tapered legs for a rustic lodge style. 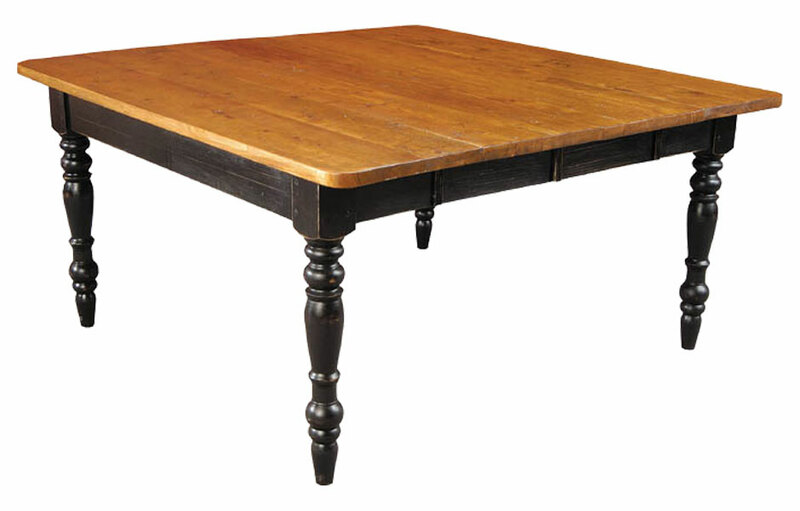 The square lines of this dining table make it a great choice for a Shaker-style, Arts & Crafts, or contemporary home. 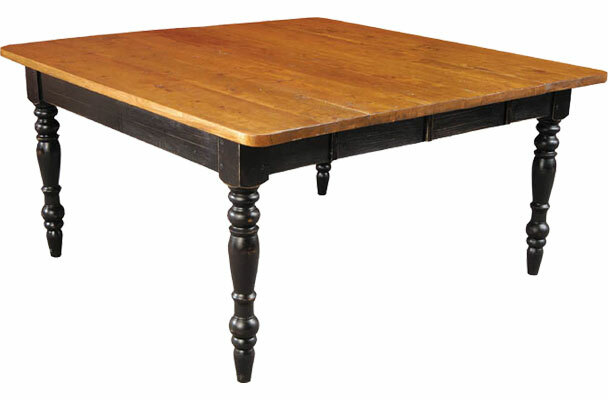 The Square Leg Table has a 1 1/4" thick top with a variety of top styles; "Stained Pine" new pine wood, "Vintage Wood" reclaimed barnwood tops, "Hand-Planed" new pine planed and distressed, and "Birch" solid hardwood. 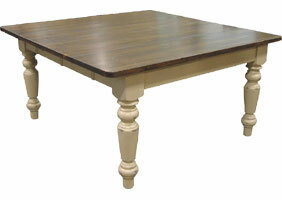 The table base can be painted and/or stained in a color of your choice.